Madison Brazen Drops Bike swap is January 25, 2014 at Alliant Energy Center from 9:00 a.m. to 3:30 p.m. Cost is $7.00 and car parking is $6.50. Bike Parking is free. 1. 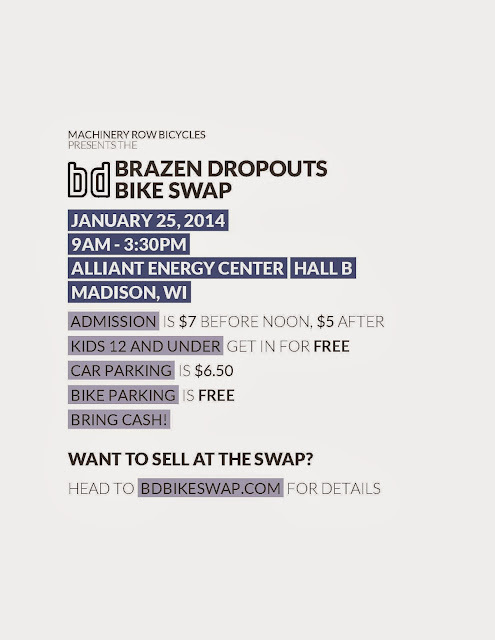 Bike Swap registration is open. 2. The Bike Swap website has registration information, as well as everything else you might need to know about the Swap for this year. 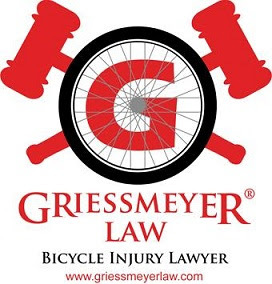 Spread the word and pick up some nice winter biking gear. Looking for other fun athletic things to do during the Madison Winter? Check out the 9th annual New Year's Day Dash in Middleton on January 1st 2014, and the first annual snowshoe scurry race series- 4 races at Dane County Parks during the month of January.